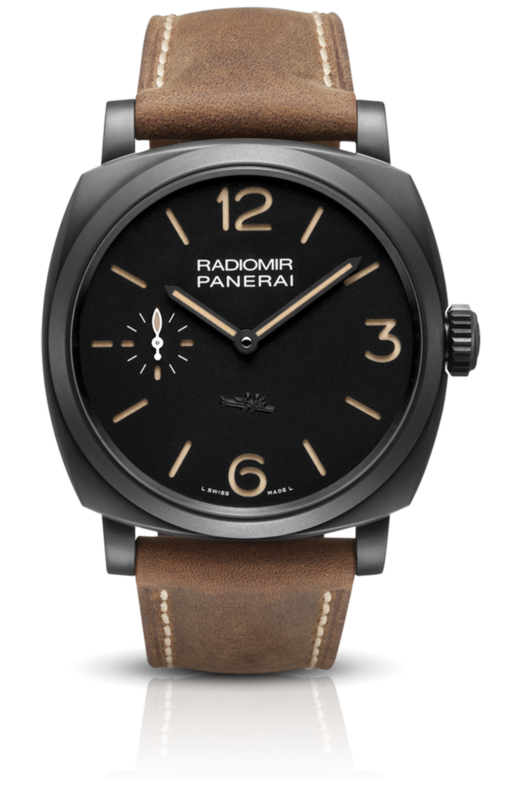 The “Siluro a Lenta Corsa”, which was developed by the Italian Navy before the WWII, is one of the most important figures in the history of Panerai. SLCs’ effect on the WWII was quite obvious. Let’s see if it’s going to make the same effect on the models which bear it on their dials. 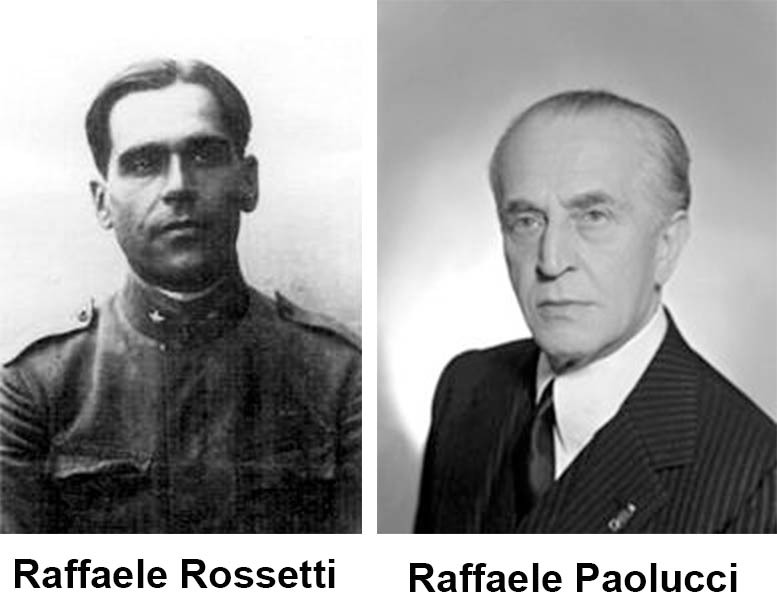 In 1st of November 1918, two officers from Italian Navy Raffaele Paolucci and Raffaele Rossetti, managed to sink the Austrian battleship “Viribus Unitis” anchored in Pola Port, by using their subsea vehicle “Mignatta” wearing their wet suits. Since they were riding their vehicle with their heads above the sea level, they ended up being caught and taken away as POWs. 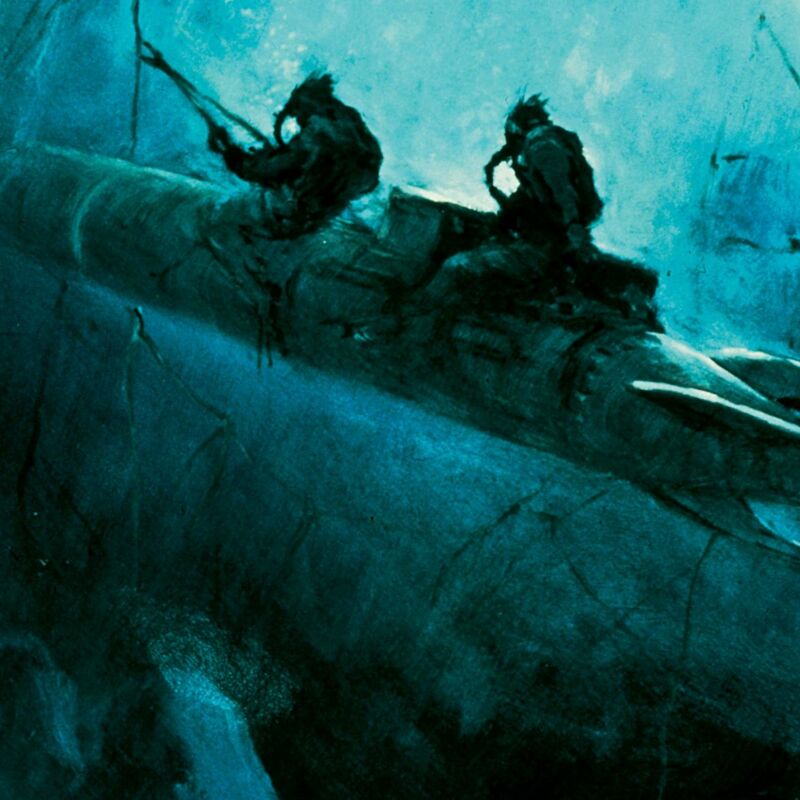 The adventure of those officers is the first story known about the human torpedos. 20 years after, the legendary majors Teseo Tesei and Elios Toschi renovated the project and weaponized it for the favor of Italian Navy during WWII. The “Maiale” ( “pig” in English ) was 7.30m long and it was driven by a chargeable engine with 1.6HP. With an average speed of 2.5 knots ( 3 knots max. ), its range was about 15 miles. 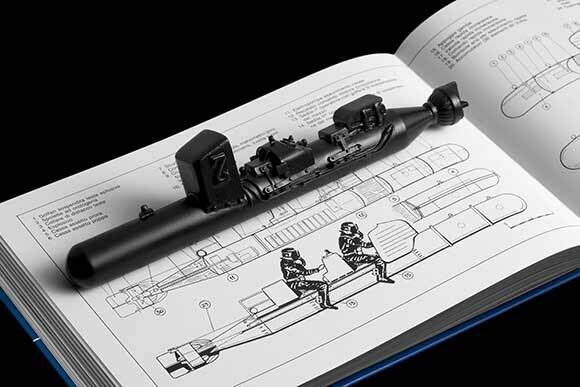 The human torpedo had three main sections. The head unit, which was capable of carrying 230kgs of explosives, was followed by the central part designed to carry two people. The magnetic compasses, depth meters and the watches were developed and manufactured by Panerai. In fact, this is how the story was started. The brand was acquired by Vendome ( Richemont Group presently ) in 1997, and started opening boutiques all over the world. The “special edition” collections are always the most appraised models along the brand’s catalogues. Those limited number production models with special design details and technical assets are highly appreciated by the loyal followers of the brand. 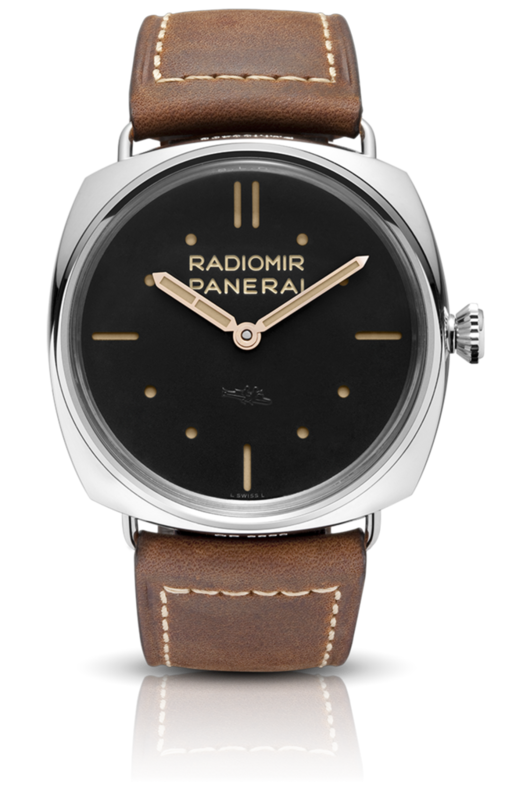 For example; PAM00127 which was produced 1950 pieces only in 2002 is one of the mostly wanted and hard to find Panerais. 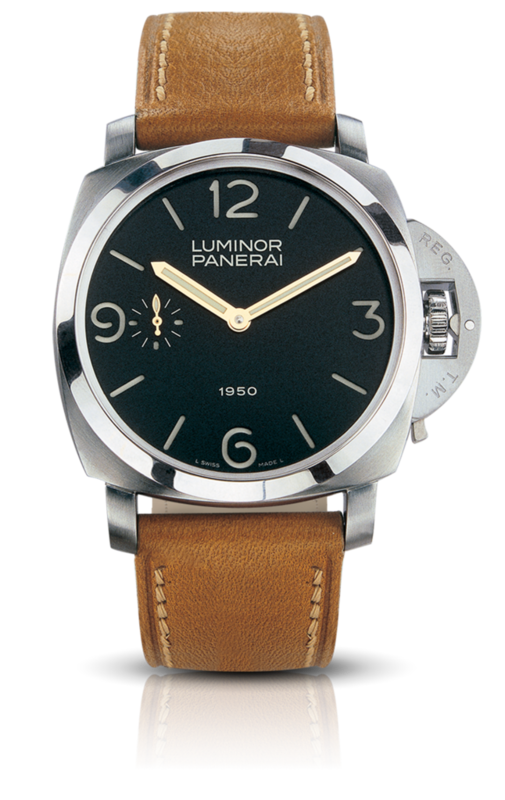 Besides the special edition models launched every year, there are also models which Panerai dedicated to its boutiques. Foremost among those watches are the Luminor Marina models with our story’s subject “maiale” on their dials. The boutique editions which bear an engraving of the boutique’s city, are produced in different numbers. 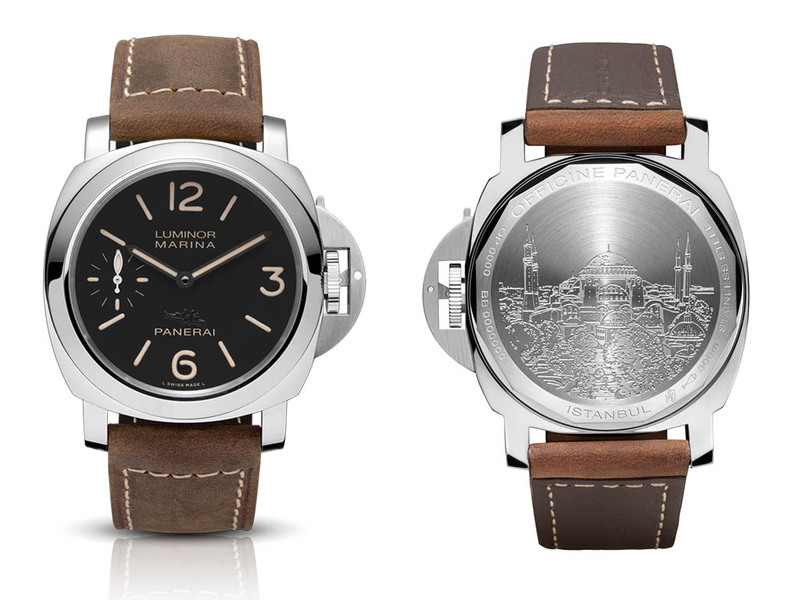 For example, the Istanbul Boutique Edition PAM00546 model with the engraving of Hagia Sophia on its caseback was limited to 80 pieces only while the PAM00434 model designed exclusively for Miano Boutique with its engraving of the famous Duomo Square was limited to 100 pieces only. The most important feature of the watch (PAM00577), which shares the same dial and movement with PAM00425, is its 48mm ceramic case. The trending model is produced about 300 pieces per year. 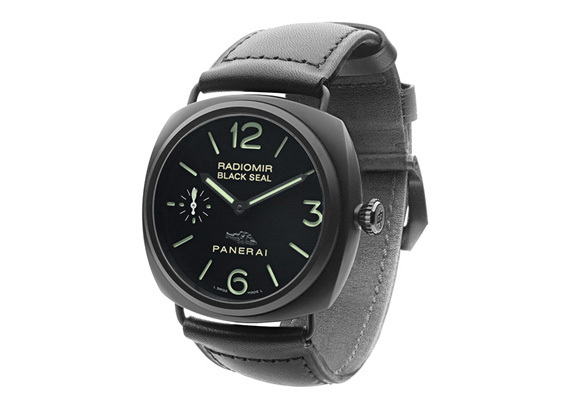 The €11.200 Euro model is one of the most interesting timepieces of the current Panerai collection. 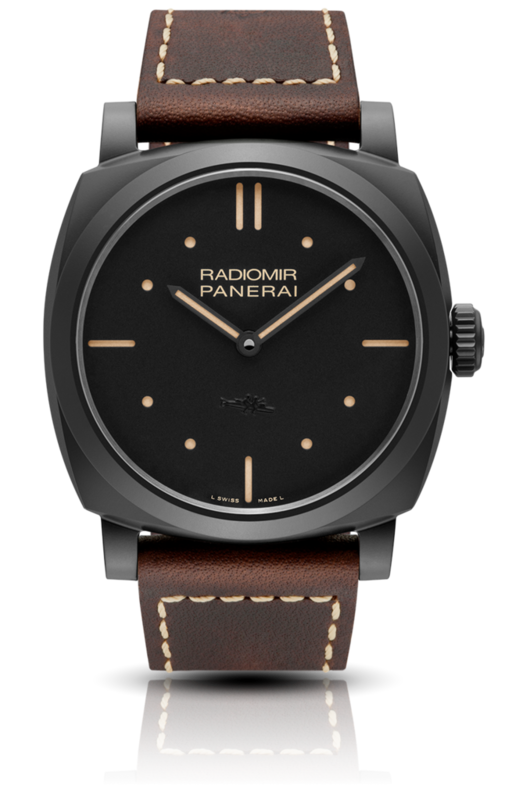 In my opinion, PAM00532 is the most significant model among the pig dial Panerais. 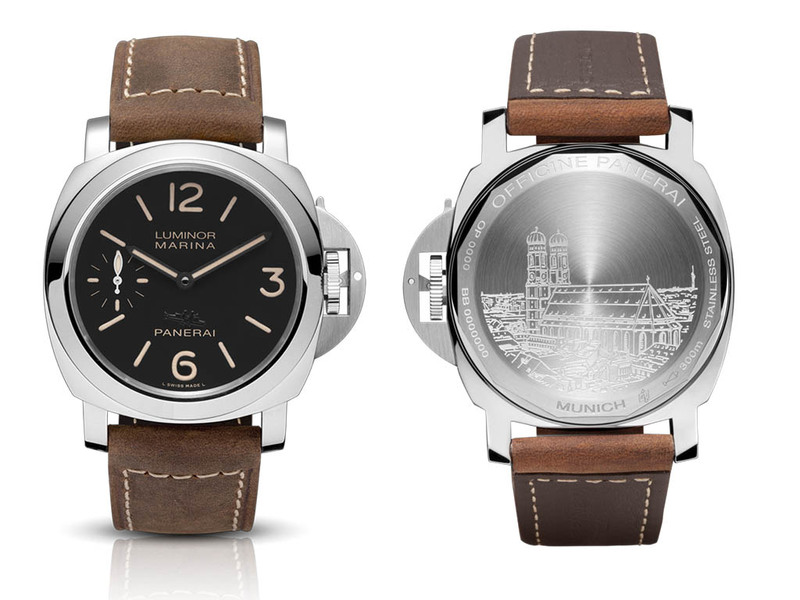 The watch is well known with its Paneristi Forever engraved caseback which tributes to the meeting point of Panerai fans www.paneristi.com. The model was one of the special editions of 2013 and produced 500 pieces only with a MSRP of 9000,00 Euro.